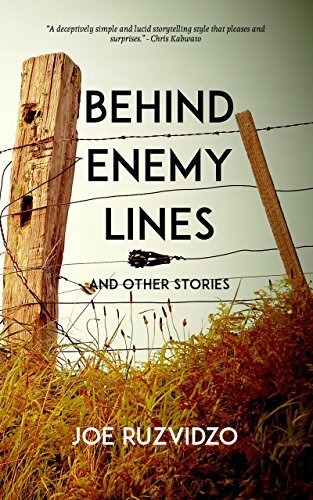 "Behind Enemy Lines is a collection of stories about ordinary people and anti-heroes dragged into a search for meaning in their lives – whether it is a simple search for identity and love, or a bigger struggle for Africa's political freedom. The canvas of their actions, motivations and circumstances is a Zimbabwe of the past, present and future. Humorous, acerbic, funny and tragic, the stories cover the whole gamut of emotions. A soldier navigates his way across hostile territory to a distant safe house; a freedom fighter searches the debris of a ruined city for evidence of a horrific crime; an ordinary boy is caught up in a bank robbery; and an activist journeys home for her ex-boyfriend's funeral. Ruzvidzo interweaves the past, present and future with a confidence often missing in a debutante, offering a uniquely compelling angle to the Zimbabwean experience."